The land­scape of energy no longer favors coal. Renew­able energy and energy effi­ciency tech­nolo­gies costs con­tinue to plum­met. The World Bank and the U. S. government’s deci­sion to fund this project or not will set a crit­i­cal prece­dent for the future of coal financ­ing, mak­ing Kosovo the global gate­keeper for new coal projects. In fact, coal has become an increas­ingly risky invest­ment in terms of energy, cli­mate, and health. 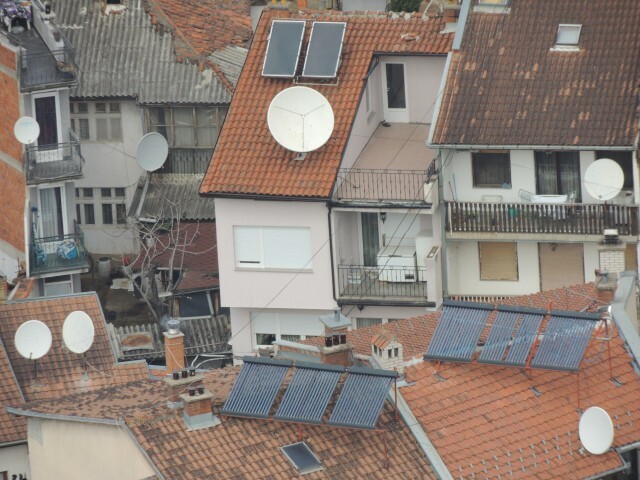 In a recent analy­sis per­formed in con­junc­tion with col­leagues from the Balkans we have found that the clean energy path is not only bet­ter for human and envi­ron­men­tal health — it is sim­ply less expensive. The World Bank and the U.S gov­ern­ment now have the oppor­tu­nity and to set the inter­na­tional energy and cli­mate invest­ment agenda. Dis­trib­uted renew­able energy resources and energy effi­ciency are sim­ply faster to deploy to meet local needs than the ardu­ous process of build­ing out new cen­tral­ized coal facil­i­ties. Delay on adopt­ing a clean energy pol­icy for the region slows down not only the pro­vi­sion of crit­i­cally needed energy resources that can spur eco­nomic growth, but also the larger process of EU inte­gra­tion, which is a regional priority. The range of options avail­able to the World Bank to replace an aging coal-​​fired power plant in Kosovo allows for tech­no­log­i­cal inno­va­tion that avoids a one-​​size fits-​​all approach. Solar, wind, small-​​scale hydropower, bio­mass, and energy effi­ciency projects can all com­bine to form a reli­able elec­tric­ity mix and shift the con­ver­sa­tion away from single-​​technology solu­tions. Not every site may be appro­pri­ate for solar, wind, small-​​scale hydropower or bio­mass, but win­ners can emerge based on local con­di­tions. The highly adap­tive nature of renew­ables and energy effi­ciency invest­ments dis­trib­utes cap­i­tal invest­ment risk instead of chan­nel­ing all resources into coal projects. New research on the haz­ards of par­tic­u­late mat­ter to human health and the envi­ron­ment from low-​​quality lig­nite coal inten­si­fies the con­cern for the cur­rent gen­er­a­tion of Koso­vars. Pol­lu­tion con­trol tech­nolo­gies that claim “clean” coal are expen­sive patch­work invest­ments that do not address prob­lems of coal min­ing, cli­mate change, or ash byprod­ucts. A price on car­bon ham­mers the nail in the cof­fin. World Bank Pres­i­dent Jim Kim has already pub­licly advo­cated for the inclu­sion of a $30/​ton car­bon shadow price on all pro­posed World Bank projects. There­fore, it only makes sense that coal, the high­est carbon-​​emitting elec­tric­ity gen­er­a­tion source per kilowatt-​​hour, becomes the most expen­sive option among the abun­dance of low-​​cost, low-​​carbon renew­ables includ­ing solar, wind, small-​​scale hydropower, bio­mass, and energy efficiency. The World Bank and the US gov­ern­ment face an his­toric choice and a chance to tip the energy and cli­mate con­ver­sa­tion. They can side with the emerg­ing data and stud­ies of clean energy eco­nom­ics to chart a reli­able low-​​cost, and low-​​carbon path­way to renew­able energy and green jobs. Fail­ure to seize the moment would vio­late the pro­hi­bi­tions on coal projects that each insti­tu­tion has recently pledged. It is time to chart a sus­tain­able path for peo­ple in need of energy now. By tmckeagberkeleyedu in Policy on April 21, 2015 .